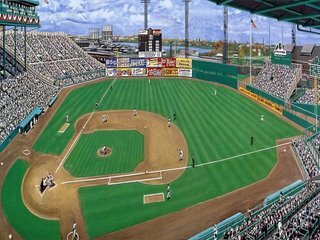 Reader Chris Williams kindly sends along this panorama of Braves Field by artist Andy Jurinko. 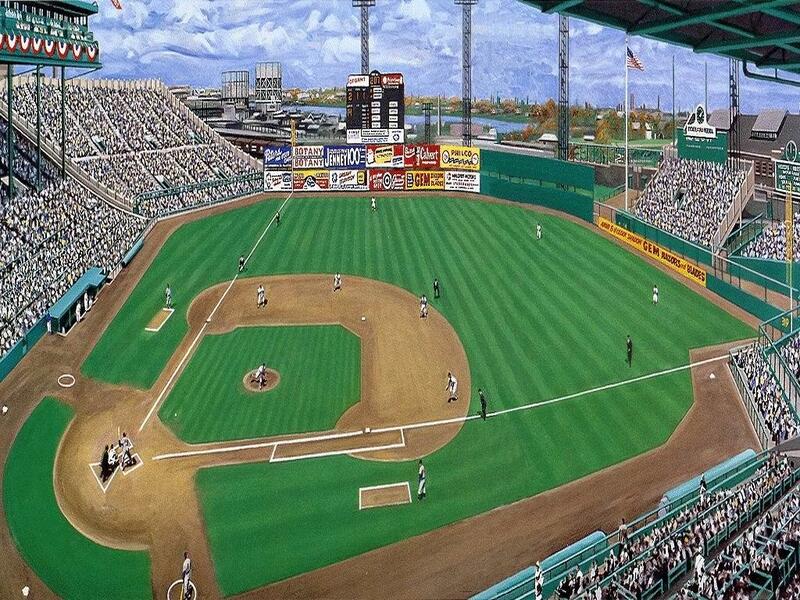 Larry Doby is batting against Johnny Sain in Game 1 of the 1948 World Series. The Braves' finale in the old park came four years later.